One of the first steps in the adoption process is to gather and complete several documents that will become your dossier. Your dossier gives all the authorities involved in your adoption process a “window” to analyze your family, your home and your life. The purpose of the dossier is to show that you meet all requirements to adopt a child, or children, in both the US and the country from which you are adopting. The dossier documents will be reviewed by the US Embassy, USCIS and the government in the country from which you are adopting. Your dossier is very important as it is a representation of your family and how these entities get to know who you are and if you meet the requirements to adopt. A Home study and/or update or addendum (Home studies may expire. Please consult your home study provider if you have any significant life changes during your process; i.e. move, change jobs, have changes in your financials or additional household members. All changes in your home or life situation must be reported to USCIS). Depending on the agency and country you are adopting from will determine the documents you will need to submit and the number of originals you need. It is also important to remember that all documents with a signature usually require notarization. In addition to notarization, if you are adopting from a non-Hague country, some documents must also be authenticated by the Secretary of State of your home state prior to sending them to your agency. Hague countries have some documents that may require an Apostille issued by the U.S. Department of State or the local state. For MLJ families, instructions on the authentication and apostille processes can be found on your personal Client Care Page. When ordering originals-get more than you need, never hurts to have extras! Remember, the presentation of your dossier is a presentation of who you are. It is one of the first important steps on your adoption journey. While it may seem tedious and complicated, it is necessary and well worth the work and effort you put into it. Best wishes on your adoption journey! Join our conversation on facebook for other tips for your dossier! 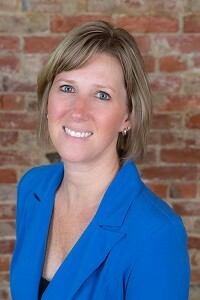 Jen Gavin is the Associate Program Director for Africa and the Pacific Isles. Jen graduated from Anderson University, with a bachelor’s degree in Organizational Leadership. She sees working in adoption services as a calling, which she became acutely aware of through a personal passion assessment at her church.